The Thera's mortal remains have been placed at the Bellanwila Raja Maha Viharaya where he served from Saturday (3) for devotees and the public to pay their last respects. Peace be with him. 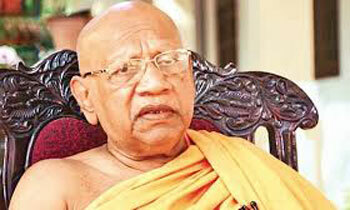 Buddhism in Sri Lanka has lost an exemplary intellectual.